In preparation for Easter we carried the cross between Churches in our Benefice. On Thursday evening we met for prayers at St Mary’s Church in Cumwhitton before setting off for Hayton. 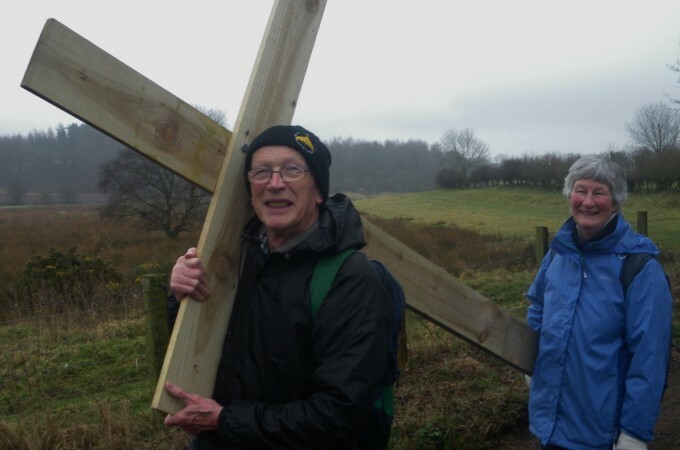 The weather was fairly kind to us and our small band of walkers took turns at carrying the cross along footpaths and country lanes. We were given a very warm welcome at St Mary Magdalene Church, Hayton, followed by a short service and reflection. The culmination of the walk took place on Good Friday when the Cross was carried form Talkin to Farlam and then on to Lanercost Priory for the Deanery Service.